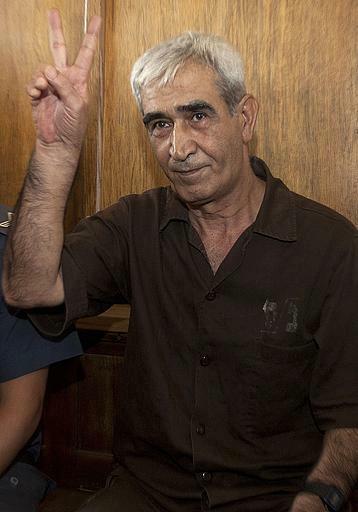 Ahmad Sa’adat, imprisoned Palestinian leader and General Secretary of the Popular Front for the Liberation of Palestine, engaged in a one-day solidarity hunger strike on May 21, in support of an open hunger strike of Palestinian administrative detainees held in occupation prisons. He was one of 120 prisoners in Hadarim prison who joined the one-day strike demanding the end of administrative detention, confinement in occupation prisons without trial or charge. The administrative detainees’ open hunger strike began on April 24. As of May 20, there were approximately 120 Palestinian prisoners on an open-ended hunger strike, most who began 28 days ago. 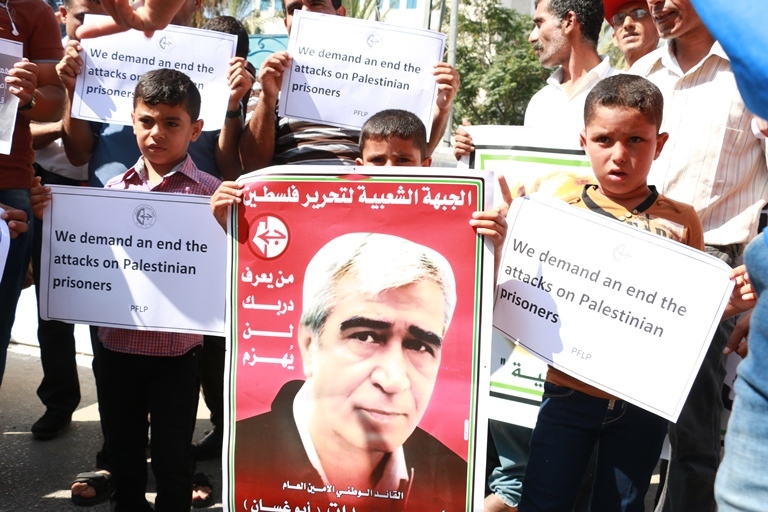 15 Palestinian political prisoners have been hospitalized since the strike began. Occupation prison authorities have engaged in a number of repressive measures in retaliation against strikers, including solitary confinement, denial of legal visits, arbitrary transfers, late-night raids and disruptive, violent inspections. Strikers were denied water and salt for at least the first fifteen days of the strike, putting their health at risk. 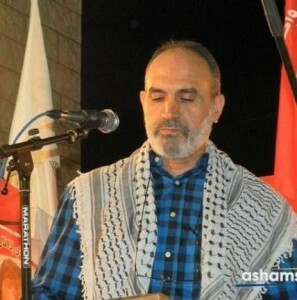 At the same time, Mohammed Kana’aneh (Abu As’ad) of Abna’a el Balad Movement in occupied Palestine ’48, himself a former prisoner, launched a solidarity open hunger strike in support of the striking prisoners’ demands. Solidarity tents and rallies have taken place throughout Palestine. Kana’aneh has declared that he will consume only salt and water until the strikers’ demands are met. 40 additional Palestinian prisoners announced they would join the open-ended strike in Naqab Prison beginning on the 21st, raising the total number of strikers to approximately 160. Marwan Barghouthi, a Fateh leader and member of the Palestinian Legislative Council, also engaged in a one-day strike on May 21. Fifteen prisoners in Ashkelon prison announced that they will join the strike on Sunday if the administrative detainees’ demand to end administrative detention is not met. Future days of action involving thousands of prisoners – up to and including a full collective hunger strike – are planned if the occupation prison authority continues to ignore the administrative detainees’ demands. The strike was launched in Ofer, Megiddo and Naqab Prisons; there were 186 Palestinians being held without charge or trial at the time. Rather than reducing the use of administrative detention as promised in 2012, its use has increased and continues to be a standard policy: in 2014, 142 administrative detention orders and renewals have been issued. Addameer notes that the strike is currently taking place in Naqab, Ofer, Marash, Ayalon and Ayala prisons and isolation cells. It should be noted that G4S, the British/Danish security company subject to an international boycott campaign, provides cameras and surveillance equipment at Ofer and Megiddo. Ayman al-Tabeesh, Palestinian political prisoner held under administrative detention, has now been on hunger strike for 80 days. has been detained since May 2013 and engaged in an open hunger strike for 105 days, ending on September 4, 2013, which ended with an agreement to not renew his administrative detention after the current period. However, in direct violation of the agreement, his administrative detention was again renewed without charge or trial, sparking his renewed hunger strike. Shireen Issawi, Palestinian lawyer and the sister of former prisoner and long-term hunger striker Samer Issawi, engaged in a 13-day hunger strike which was suspended on May 21 after an appeal secured her re-trial and a reconsideration of release. Her court date had earlier been postponed for six months. 1. Send a letter to occupation prison officials in support of the strikers’ demands. Click here to take action! 2. Write to the International Committee of the Red Cross and call upon it to visit all hunger striking detainees and prisoners, as well as publicly condemn the policy of administrative detention which is in clear violation of the Fourth Geneva Convention, as stipulated by the ICRC mandate to protect international humanitarian law. Email the ICRC, whose humanitarian mission includes monitoring the conditions of prisoners, at JER_jerusalem@icrc.org. 3. Organize a protest or action in your city to support the Palestinian prisoners on hunger strike. Demonstrate outside an Israeli consulate or embassy in your city. 4. Share this alert via email, Facebook and Twitter with your colleagues, comrades, friends and contacts. 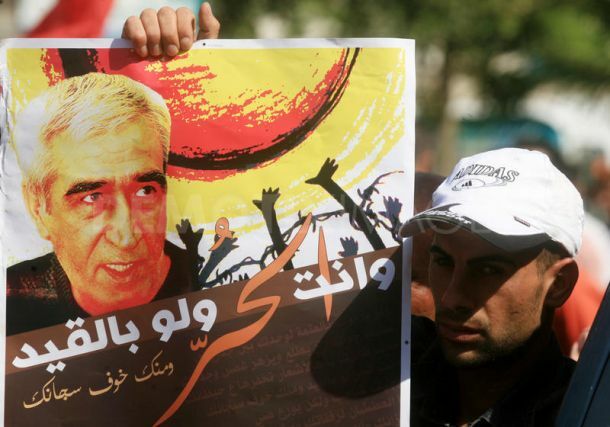 Write a Letter to Ahmad Sa’adat!